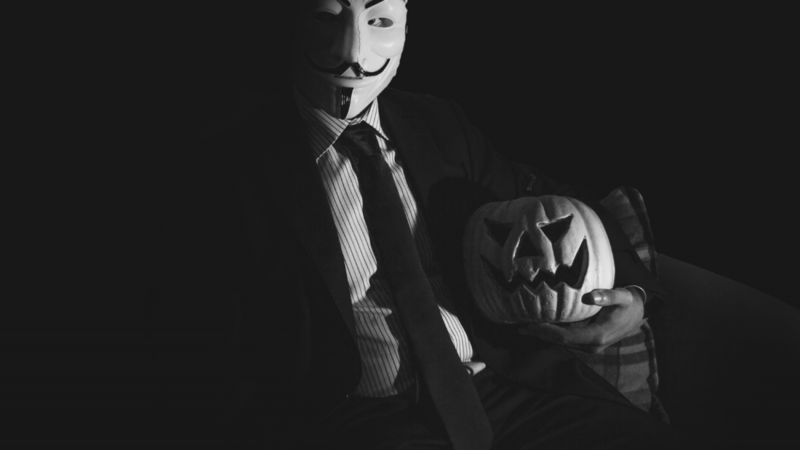 Once we outgrow the intoxicating lure of sugar and treats, Halloween becomes more about dressing up and having a good night out with friends. With our spooky Halloween specials rolling out this weekend (and many offering discounts and prizes for dressing up), we have come up with a few travel-friendly costumes you can squeeze between comfy jumpers and your multitudes of winter socks. Everyone loves some candy on Halloween! 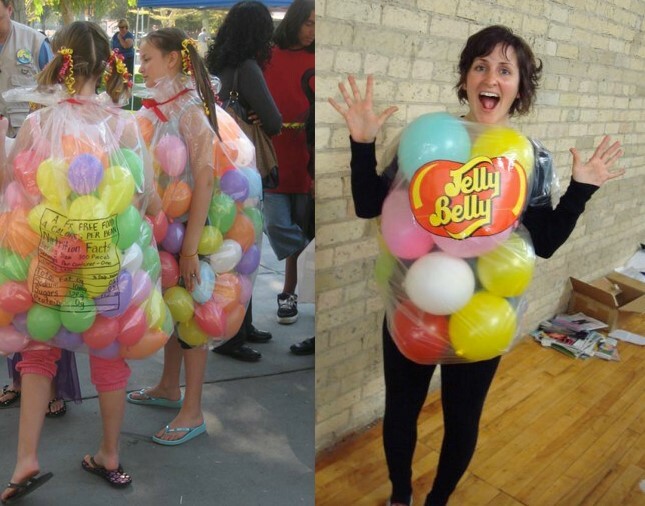 This costume takes up almost no space; all you need is a large transparent bin bag, a packet of balloons and a good set of lungs (depending on how many jelly beans you want of course). Extra finishing touches can include a printed logo or nutritional information on the back. 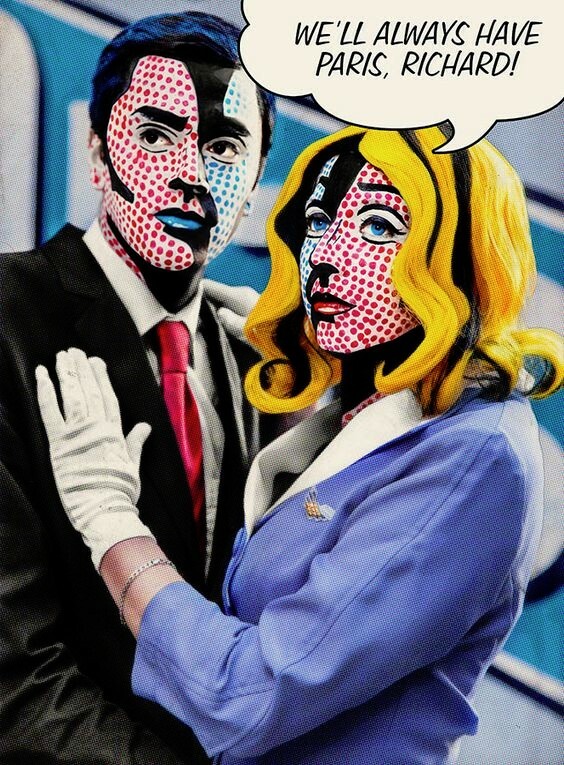 This one requires a far bit of makeup skills and patience to cover your face in the iconic pop art dots, but once you are done everyone will want to take a selfie with you. Stuff an eyeliner, red lipstick (you too boys!) and some face paint into your wash bag and you ready to transform into a piece of art. 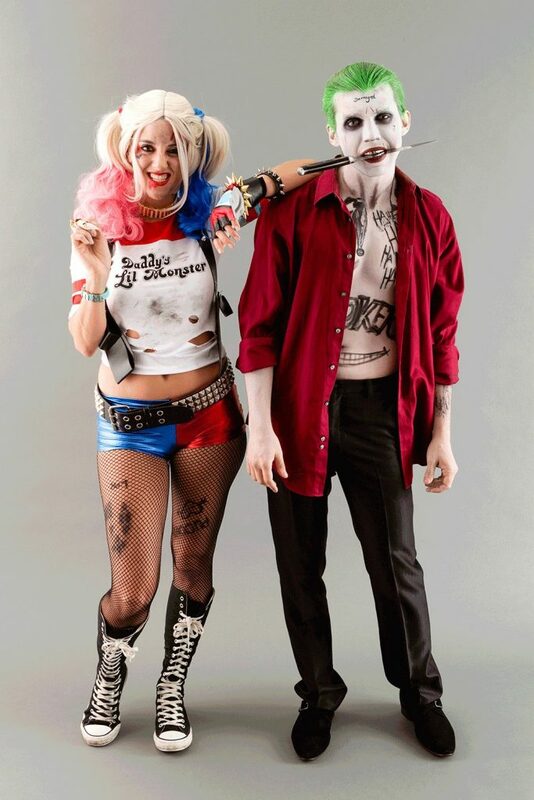 Or if your makeup skills aren’t quite up to par, why not go as the hottest villain couple right now – the Joker and Harley Quinn. Hair chalk, old clothes you can ditch after the night, eyeliner and one lipstick between the couple is all puddin’ needs. Smudge as much as you like, just keep smiling all night! This is for the punny ones. If you plan this well enough you won’t even have to bring any additional material. Ask your friendly hostel receptionist if you could swing by after one breakfast to take some empty cereal boxes and plastic knives. You can then either stitch, glue or even safety pin the boxes to your top. 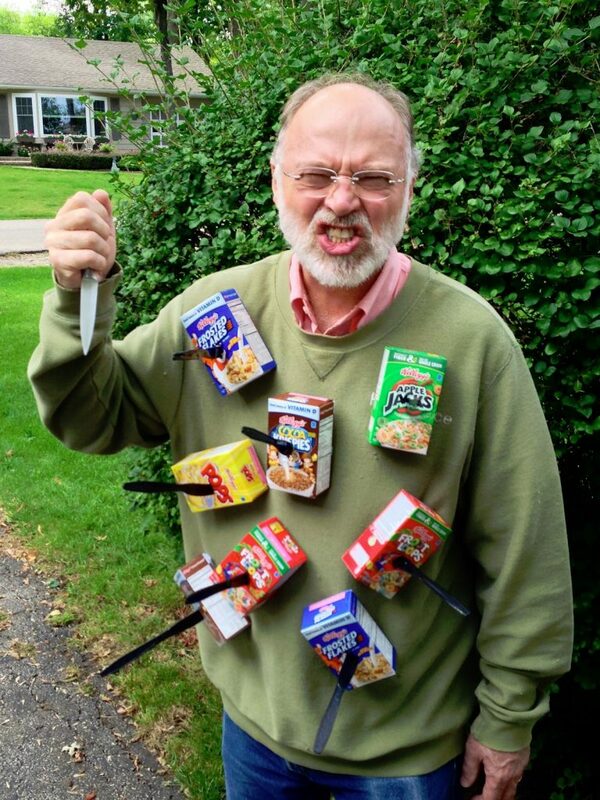 Squirt some red ink or lipstick for added gore and put your Lucky Charms to the test! 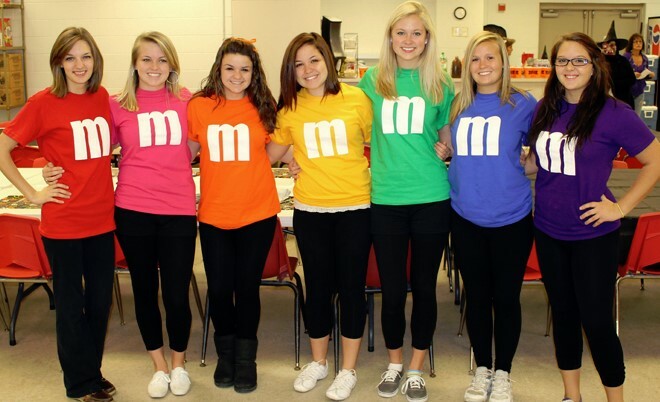 And last but not least, the colourful pack of M&Ms for you and your squad. You can print a bunch of Tshirts before hand or bring a coloured top and white marker, this is the most simple-fuss free costume you and your friends can rock up in. If you still find yourself needing a costume, pick-up one of our Halloween flyers in the city you are in and you will find a recommended party shop for all your get-up needs.